Join us in hearing Jon Fuller's exciting account of Arizona's Verde River in the longest recorded trip down the river. 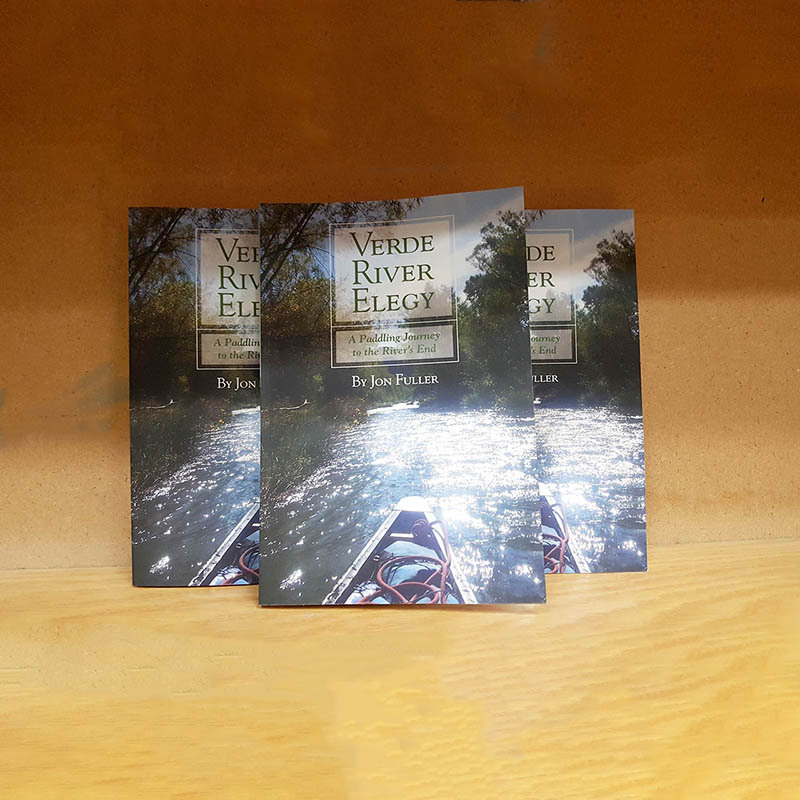 Verde River Elegy tells the story of the author’s epic solo canoe journey from the Verde headwaters to its end at the Salt River, the longest known continuous boat trip on the river. The Verde River’s precious ribbon of green is a 196-mile oasis of riverside forests, stunning canyons, diverse wildlife, and cool water in the searing Arizona heat. In addition to the spectacular scenery, Jon also encountered flow-depleting diversion dams, river-choking invasive plants, threatening hillbillies, and hat-stealing trees. Jon paddled alone through tranquil pools and splashy rapids along this beautiful oasis, with only his trusty canoe “Red” for company, a laminated river map to show the way, and a notebook in which to record his journey. From that notebook, Verde River Elegy was born. Jon’s writing is at times humorous, always reflective, and ultimately poignant, as development threatens the river’s very existence. The author took this trip to say goodbye to the shining emerald that is the Verde River before it is gone forever. Author Bio Jon Fuller’s fascination with rivers began in early childhood, spending hours floating sticks in a creek and pretending they were boats. He paddled his first real canoe at age five. At twelve he took his first multi-day, unsupervised canoe trip. Jon’s love of rivers took him to graduate school in Arizona, where he studied the flood histories of the Salt and Verde rivers. There, the subtle magic of rivers in the desert captured him, and he made Arizona his home. Over his 34-year career as a well-known hydrologist and geomorphologist, he authored hundreds of reports about rivers throughout the West. Jon worked and played on the Verde River throughout his career and witnessed firsthand the river’s steady decline.